Good thing this typical Banco player made a split decision to play La Mini! Up to $50,000 every Friday with La Mini! It was Carole’s idea to buy a ticket for La Mini. We all want someone like Carole in our lives. 50 prizes of $1,000 to be won! DEADLINE FOR WAGERS: Every Friday, 10:30 p.m.
You may play online, using the mobile app or at a Loto-Québec retailer exclusively by Quick Pick (selection randomly generated by the Loto-Québec computer). Each selection represents a six-digit number and is decomposable in both directions. Each draw is conducted as follows: Loto-Québec conducts 6 draws to determine at random 6 digits to form the winning number. The first digit is determined by a draw among all digits from 1 to 9. The other 5 digits are each determined by a draw among all digits from 0 to 9. A selection wins if it contains at least the last 2 digits or the first 3 digits, in order, of the drawn number (see the Prize structure and odds of winning). 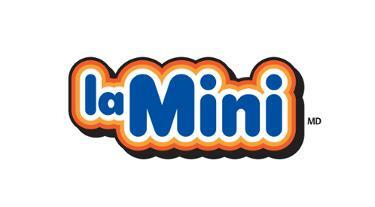 La Mini is governed by the By-law respecting the Mini Loto, any instant lottery and any “pool” type lottery.